This is a limited edition of only 175 individually serialised pieces, and it’s an absolute beauty. We can’t wait to get a couple of these for around the office! 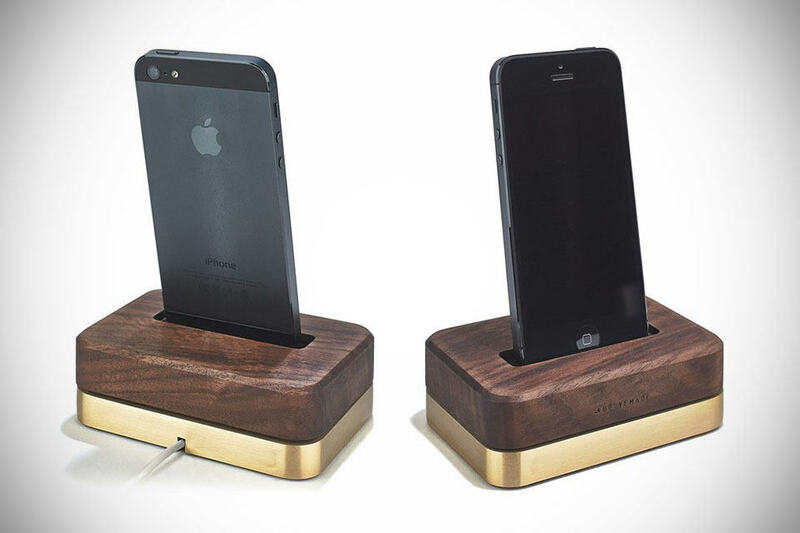 The Grove Brass Dock, crafted from solid brass with an Oregon black walnut cap. Plug and unplug your phone one-handed and keep your charger cable in its place. Compatible with iPhone 4, 4S, 5, 5S + 5C. Grovemade are a family of creators – close knit and a little crazy – handcrafting goods at their workshop in Portland, Oregon. They make beautiful products from quality materials. Grab yourself a unique piece.